Born at Banffshire, Scotland on 17 August 1855, he was a member of the Glasgow police force. He immigrated to Manitoba in 1882 and farmed in the Rosser district until 1913. At that point he retired and moved to Brooklands. On 31 August 1885, he married Margaret Mathews Barnet, originally of Kinross, Scotland, at Winnipeg. They had no children. 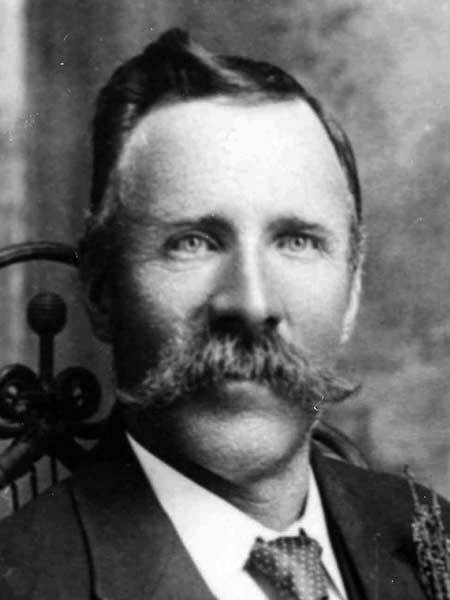 He served as Reeve of the Rural Municipality of Rosser from 1909 to 1921, later Mayor of the Village of Brooklands (1924-1925). He was an active member of the Union of Manitoba Municipalities, including its Vice-President from 1919 to 1920, and President from 1920 to 1921. He was also involved with the Manitoba Good Roads Association, being Vice-President under S. R. Henderson and President from 1928 to 1929, when he was forced to retire due to ill health. He served on the board for Brooklands School. He was an unsuccessful candidate for the Assiniboia constituency in the 1922 provincial general election. He died at Winnipeg on 22 January 1932 and was buried in Brookside Cemetery. He is commemorated by Haddow Street in Winnipeg. “John Haddows dies in hospital after but short illness,” Winnipeg Free Press, 23 January 1932, page 2. “Deaths and funerals,” Winnipeg Free Press, 25 January 1932, page 5. “John Haddow was Reeve of Rosser fourteen years,” Winnipeg Free Press, 27 January 1932, page 8. Western Municipal News, February 1932, page 63.